It was fought on 8 November 1620. 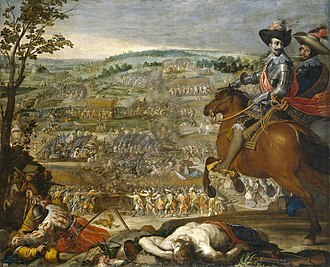 An army of 15,000 Bohemians and mercenaries under Christian of Anhalt was defeated by 27,000 men of the combined armies of Ferdinand II, Holy Roman Emperor led by Charles Bonaventure de Longueval, Count of Bucquoy and the German Catholic League under Johann Tserclaes, Count of Tilly at Bílá Hora ("White Mountain") near Prague. The site is now part of the city of Prague. The battle marked the end of the Bohemian period of the Thirty Years' War and decisively influenced the fate of the Czech lands for the next 300 years. Its aftermath drastically changed the religious landscape of the Czech lands after two centuries of Protestant dominance. Roman Catholicism retained majority in the Czech lands until the late 20th century. 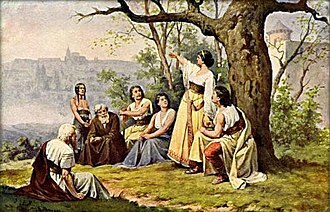 In the early 17th century most of the Bohemian estates, although under the dominion of the predominantly Roman Catholic Holy Roman Empire, had large Protestant populations, and had been granted rights and protections allowing them varying degrees of religious and political freedom. In 1617, as Emperor Matthias lay dying, his cousin Ferdinand — a fiercely devout Roman Catholic and proponent of the Counter-Reformation — was named his successor as Holy Roman Emperor and King of Bohemia. This led to deep consternation among many Bohemian Protestants, who feared not only the loss of their religious freedom, but also of their traditional semi-autonomy, under which many of the estates had separate, individual constitutions governing their relationship with the Empire, and where the King was elected by the local leaders. 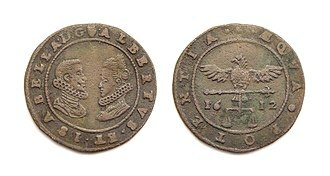 In 1620, now fully established as Emperor, Ferdinand II set out to conquer Bohemia and make an example of the rebels. King Frederick and his military commander, Prince Christian of Anhalt, had organized a Protestant army of 30,000 men; Ferdinand countered with a force of 25,000, many of them seasoned soldiers, under the capable leadership of Field Marshal Tilly, a Roman Catholic Spanish-Flemish nobleman. Tilly's army enjoyed the advantage of including two successful military leaders - Tilly himself and the future General Wallenstein. Tilly's force was made up of two distinct groups: Imperial troops commanded by Charles Bonaventure de Longueval, Count of Bucquoy, and soldiers of the German Catholic League, directly under Tilly. All of the armies of the day employed numerous mercenaries, including, by some definitions, Tilly himself. Serving with the Catholic League as an official observer was the future "father of modern philosophy", René Descartes. On 8 November a small Imperial force was sent to probe the Protestant flank. To their surprise, the Bohemians retreated at their advance. Tilly quickly sent in reinforcements, and the Bohemian flank began to crumble. 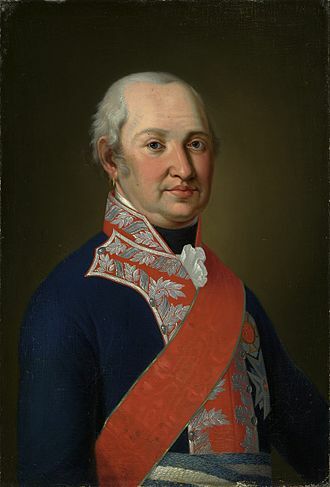 Anhalt tried to retrieve the situation by sending forward infantry and cavalry led by his son Christian II. The cavalry charged into the Imperial infantry, causing significant casualties, but Tilly countered with his own cavalry, forcing the Bohemian horsemen to retire. The Bohemian infantry, who were only now approaching the Imperial army, saw the cavalry retreating, at which they fired one volley at extreme range before retreating themselves. A small group of Imperial cavalry began circling the Protestant forces, driving them to the middle of the battlefield. With the Bohemian army already demoralized, company after company began retreating, most without having actually entered the battle. 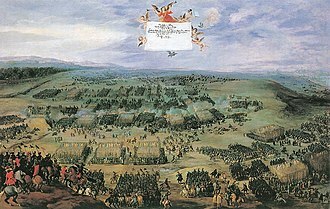 Tilly and his Imperial cavalrymen advanced with 2,000 Bavarian hussars, steadily pushing Protestant forces back to the Star Palace (just west of Prague), where the rebels tried without success to establish a line of defense. With the Bohemian army destroyed, Tilly entered Prague and the revolt collapsed. King Frederick fled the country with his wife Elizabeth (hence his nickname the Winter King). Forty-seven leaders of the insurrection were put on trial, and twenty-seven of them were executed in Prague's Old Town Square on what came to be called the "Old Town Square execution". Amongst those executed were Kryštof Harant and Jan Jesenius. Today, 27 crosses have been laid into the cobblestones as a tribute to those victims. An estimated five-sixths of the Bohemian nobility went into exile soon after the Battle of White Mountain, and their properties were confiscated. In 1621, the Emperor ordered all Calvinists and other non-Lutherans to leave the realm in three days or to convert to Roman Catholicism. In 1622, he forbade practice of the Lutheran faith. In 1626, he ordered all Lutherans (most of whom had not been involved in the revolt) to convert or else leave the country. By 1627, Archbishop Harrach of Prague and Jaroslav Borzita of Martinice set out to convert the heretics, as they were termed, by peaceful means; most Bohemians converted, but a significant Protestant minority remained. 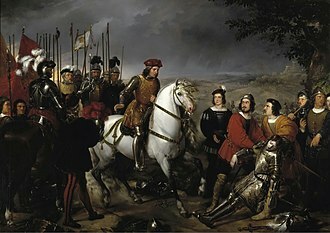 Spanish troops, seeking to encircle their rebellious Dutch provinces, seized the Palatinate lands. With the prospect of Protestantism being overrun in Germany, Denmark entered the struggle. Sweden was to join the Protestant forces in 1630. Before the war about 151,000 farmsteads existed in the Lands of the Bohemian Crown, while by the year 1648 only 50,000 remained. At the same time the number of inhabitants decreased from three million to only 800,000. The result of the 1620 battle brought two centuries of recatholicization of the Czech lands and the decline of the Czech-speaking aristocracy and elite as well as the Czech language (accompanied with the growing influence of German-speaking elites), a process that was slowed down by the Czech National Revival since the late 18th century. Czech nationalist historians and writers such as Alois Jirásek have referred to the 17th and 18th century in the Czech lands as the Dark Age. ^ Helfferich, Tryntje. The Thirty Years War: A Documentary History. Indianapolis: Hackett Company, Inc., 2009. Print. ^ Wedgwood, C. V. (1964) . The Thirty Years War. London: Jonathan Cape. pp. 158, 224. Wikimedia Commons has media related to Battle of White Mountain. Bellum.cz – "Battle of White Mountain 8th November 1620"
On 16 September the city of Heidelberg was taken by storm, and the Heidelberg Castle surrendered three days to the Imperial and Spanish forces. In 1620 the Spanish commander Don Ambrosio Spinola adopted Fabian tactics in the hope of wearing the enemy out, until the approach of winter compelled the English, Sir Horace Vere divided his troops among the three most important strongholds of the Palatinate. He himself occupied Mannheim, Sir Gerard Herbert he stationed in Heidelberg Castle, while Sir John Burroughs undertook to defend Frankenthal, early in 1621 the Protestant Union was broken up, and the English garrisons had to give up all hope of relief. The English governors were not closely pressed that year, the English garrisons were now surrounded by a force of Imperialists and Spaniards under Tilly and Córdoba. Vere resolved to hold out, though he knew that the position was hopeless. The combined Protestant forces, now numbering 25,000 strong, Heidelberg came under siege by the Imperial-Spanish forces and despite an 11-week resistance, fell on 19 September 1622. The Capture of Bacharach took place on October 1,1620 at Bacharach, Electorate of the Palatinate. 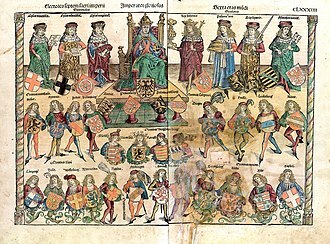 After a quick start of the invasion of states of Frederick V, proclaimed King of Bohemia, Don Ambrosio Spinola, the Spanish general in command, assessed at a council of war the choice between undertaking the siege of Heidelberg or, the town of Bacharach. The Spanish officers decided to take Bacharach due to the number of Fredericks scattered forces. On October 1, Córdoba captured Bacharach with a force of 2,500 soldiers, after securing stores of food and ammunition through the Capture of Oppenheim, Spinola had a choice between taking Heidelberg or Bacharach. 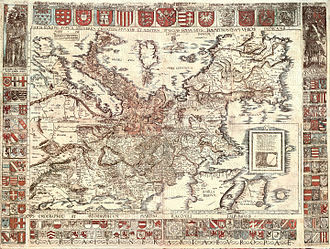 On September 23, Spinola consulted with the Spanish commanders, Don Carlos Coloma, Don Gonzalo Fernández de Córdoba, Don Diego Felípez de Guzmán, there was talk of marching on Heidelberg, Frankenthal or Bacharach, but finally Spinola decided to opt for Bacharach. Bacharach was an important strategic point because it was a bridgehead over the Rhine, in addition, the operation would buy time for the arrival of reinforcements expected from the Spanish Netherlands. On September 29, Córdoba marched with his forces and captured Lorch and he had sent another group of about 2,000 men directly to Bacharach. This group approached the outskirts of Bacharach at about 2 am, with the arrival of the Spaniards, the Protestant soldiers outside the town threw down their muskets and fled into the town. Córdobas men proceeded to build a bulwark behind the town, at dawn, the defenders, aided by heavy mist, fired shots of musket, killing three Spaniards and wounding three more. Shortly thereafter the bulk of the led by Córdoba arrived. Demoralised by the arrival of the Spanish, the officers of the decided to surrender. The Spanish troops entered Bacharach at 3 pm, two captains and 94 English soldiers, among other German troops, were taken prisoners. Córdoba left a garrison of 300 soldiers in Bacharach and sent most of his troops under the commanders Diego Ruiz, the small garrison of that town soon surrendered. Shortly thereafter, the Spaniards took the Pfalzgrafenstein Castle, meanwhile, focused on intercepting the Anglo-Dutch relief, but the Protestant force did not appear. Johann Tserclaes, Count of Tilly was a field marshal who commanded the Catholic Leagues forces in the Thirty Years War. 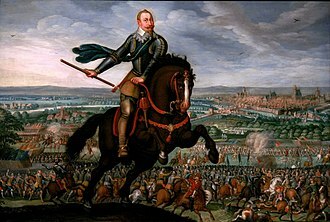 He had a string of important victories against the Protestants but was defeated by forces led by the King Gustavus Adolphus of Sweden. 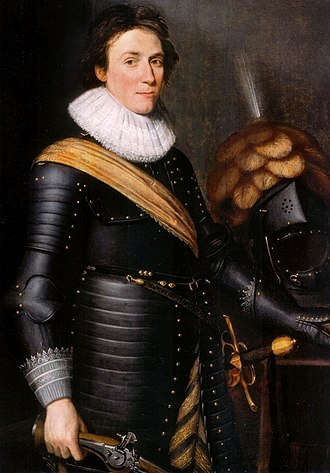 Along with Duke Albrecht von Wallenstein of Friedland and Mecklenburg, he was one of two commanders of the Holy Roman Empire’s forces in the first half of the war. Johann Tserclaes was born in February 1559 in Castle Tilly, Walloon Brabant, now in Belgium, half of the enemy forces were killed or captured, while the Catholic League lost only 700 men. This victory was vital in crushing resistance to the Emperor in Bohemia, next he turned west and marched through Germany, but was defeated at the Battle of Mingolsheim on 27 April 1622. He was successful again at the Battle of Höchst on 20 June and was made a count for this victory and these three battles in two months allowed him to capture the city of Heidelberg following an eleven-week siege on 19 September. Together with the surrender of Bohemia in 1623, this ended virtually all resistance in Germany. This caused King Christian IV of Denmark to enter the Thirty Years War in 1625 to protect Protestantism, Count Tilly besieged and captured Münden on 30 May 1626, whereupon local and refugee Protestant ministers were thrown into the river Werra, but could not lay a siege to Kassel. Tilly fought the Danes at the Battle of Lutter on 26–27 August 1626, in which his highly disciplined infantry charged the lines four times. This led him to win decisively, destroying more than half the fleeing Danish army, because of this and other victories by Wallenstein, Denmark was forced to sue for peace at the Treaty of Lübeck. This disrupted the balance of power in Europe resulting in Swedish involvement in 1630 under their redoubtable leader, Gustavus Adolphus had been attempting to dominate the Baltic for the previous ten years in wars with Poland, a continental power of note. The siege began on 20 March 1631 and Tilly put his subordinate Gottfried Heinrich Graf zu Pappenheim in command while he campaigned elsewhere, the assault was successful and the walls were breached, but the commanders supposedly lost control of their soldiers. The Bohemian Revolt was an uprising of the Bohemian estates against the rule of the Habsburg dynasty. It was caused by religious and power disputes, the dispute culminated after several battles in the final Battle of White Mountain, where the estates suffered a decisive defeat. This started re-Catholisation of the Czech lands, but triggered the Thirty Years War, without heirs, Emperor Matthias sought to assure an orderly transition during his lifetime by having his dynastic heir elected to the separate royal thrones of Bohemia and Hungary. Some of the Protestant leaders of Bohemia feared they would be losing the rights granted to them by Emperor Rudolf II in his Letter of Majesty. They preferred the Protestant Frederick V, elector of the Palatinate, the king-elect sent two Catholic councillors as his representatives to Hradčany castle in Prague in May 1618. Ferdinand had wanted them to administer the government in his absence, on 23 May 1618, an assembly of Protestants seized them and threw them out of the palace window, which was some 21 metres off the ground. 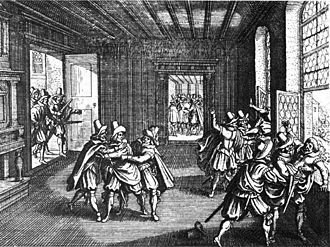 This event, known as the Defenestration of Prague, started the Bohemian Revolt, soon afterward, the Bohemian conflict spread through all of the Bohemian Crown, including Bohemia, Silesia and Lower Lusatia, and Moravia. 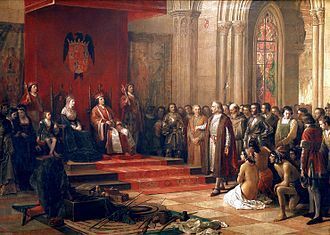 Moravia was already embroiled in a conflict between Catholics and Protestants, the religious conflict eventually spread across the whole continent of Europe, involving France, and a number of other countries. Had the Bohemian rebellion remained a conflict, the war could have been over in fewer than thirty months. However, the death of Emperor Matthias emboldened the rebellious Protestant leaders, the weaknesses of both Ferdinand and of the Bohemians themselves led to the spread of the war to western Germany. Ferdinand was compelled to call on his cousin, King Philip III of Spain, the Bohemians hinted Frederick would become King of Bohemia if he allowed them to join the Union and come under its protection. However, similar offers were made by members of the Bohemian Estates to the Duke of Savoy, the Elector of Saxony. The Polish Rider by Rembrandt. A Lisowczyk may be the subject of one of the Dutch master's greatest works. Though the rider's identity is not known, one theory is that it is a portrait of Grand Chancellor of Lithuania Marcjan Aleksander Oginski, made in c.1655. It has little to do with the Lisowczycy, though much of the clothing and war gear would have been similar that worn by the real Lisowczyks of 30 years earlier. Lisowczyk – painting by Juliusz Kossak, circa 1860-65, inspired by Rembrandt's painting.